Pretty in pink, this three light fan light kit has a wonderful antique chic look. A hand-rubbed antique white finish is draped by clear and pink beaded droplets, and clear, pink and light blue bead strands for added sparkle. 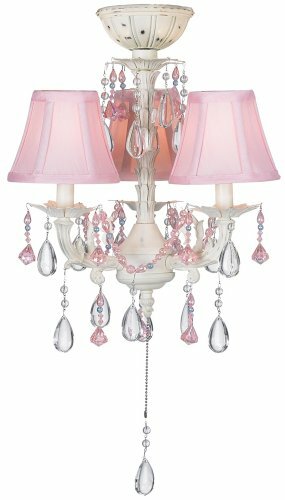 The dainty chandelier look includes three pink bell shades and faux candle-drip covers. Pull chain operation. May also be operated from a wall or hand-held remote. This is a universal light kit meant for use with most ceiling fans. As shown switch housing is not included.- 13 1/2" wide x 17" high.- Includes three 25 watt candelabra bulbs.- Light kit for ceiling fan use only.- Hand-rubbed antique finish, 3 pink shades, hanging clear, pink, and blue strands.- Fan switch-housing cap as pictured is part of the fan; not included with light kit. 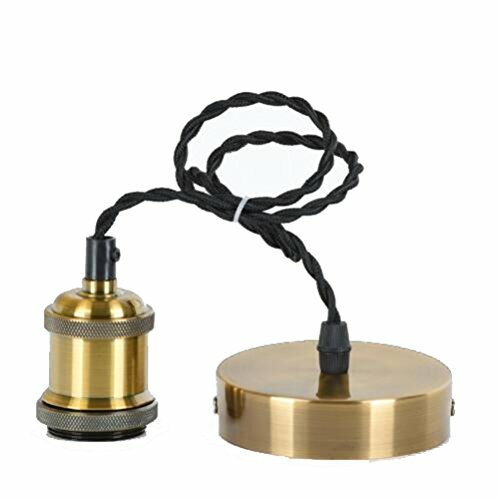 This listing is for 1 Pendant Light incl. 10 strands ONLY Vintage Edison Bulbs NOT included Condition : 100% BRAND NEW, Material : Metal Base and Plastic Base Socket & Light Blub : E26 Bulb (Light Bulb is not included) Size: Cable: 64.9'' / 165 cm Each Voltage & Frequency: 40-60W Installation Type:Cord PendantLighting Area:15-30square metersApply to: Parlor,Bedroom,Study Room,Restaurant, Corridor, Coffee ShopPackage Contain: 1 X Ceiling Lamp Set with 10 heads; Light Bulb is not included WARNINGS 1. For a safe and secure installation, please ensure that the electrical box to which this fixture will be mounted is properly attached to a structural member of the building. 2. All wires are connected. When unpacking, be careful not to pull with wires as a bad connection may result. 3. Do not connect electricity until your fixture is fully assembled. 4. To reduce the risk of fire, electrical shock, or personal injury,always turn off and unplug fixture and allow it to cool prior to replacing light bulb. 5. Do not touch bulb when fixture is turned on or look directly at lit bulb. Keep flammable materials away from lit bulb. Add some star power to your ceiling fan with this glittering, candelabra style light kit. 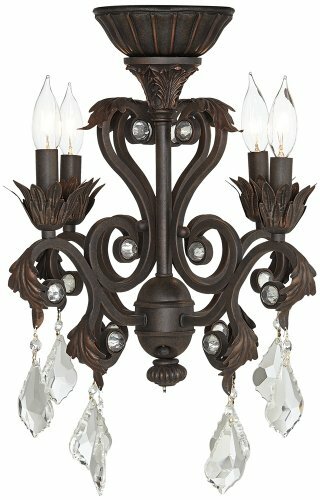 In a distressed antique finish with crystal bead accents. 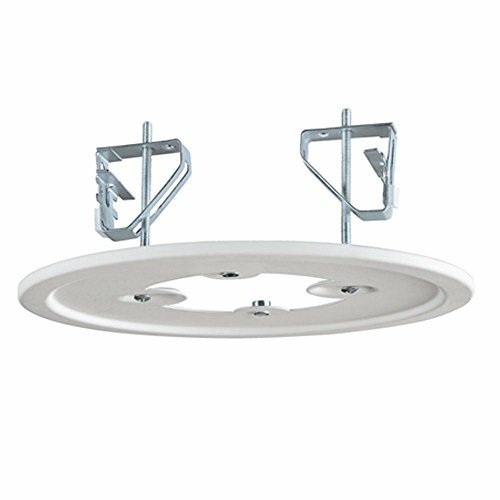 This is a universal light kit meant for use with most ceiling fans. 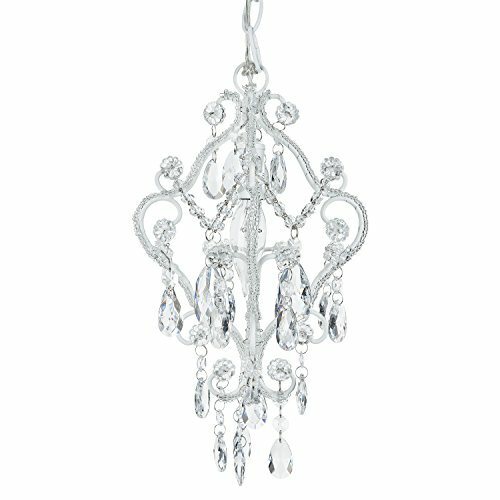 Pull chain operable.- 15" wide x 12" high.- Takes four 40 watt candelabra bulbs (included). - Light kit for ceiling fan use only; pull chain operation.- Distressed antique finish with crystal bead accents.- Fan switch-housing cap as pictured is part of the fan; not included with light kit. 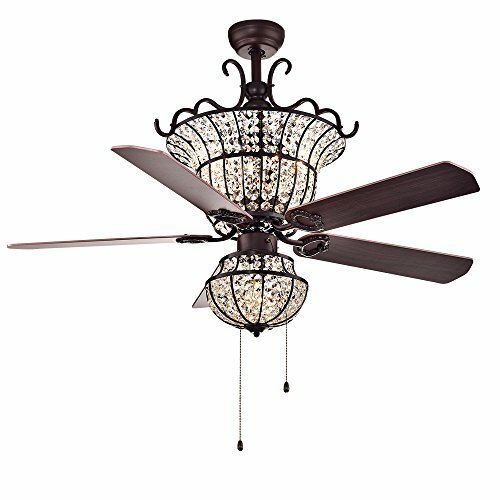 Add elegance to a ceiling fan with this sophisticated light kit. 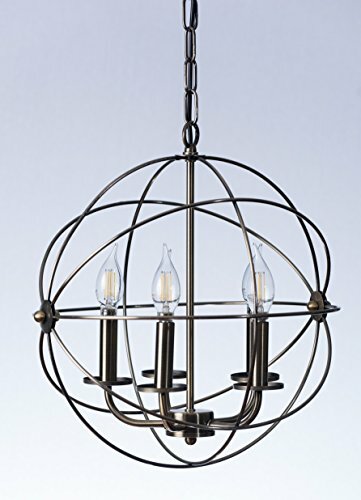 Featuring a chandelier design with an oil-rubbed bronze finish and decorative glass accents and a leaf motif.- 16 1/2" high x 15 3/4" wide.- Includes four 40 watt candelabra bulbs.- Light kit for ceiling fan use only; pull chain operation. - Oil-rubbed bronze finish with acanthus leaf detailing and crystal accents. - Fan switch-housing cap as pictured is part of the fan; not included with light kit. 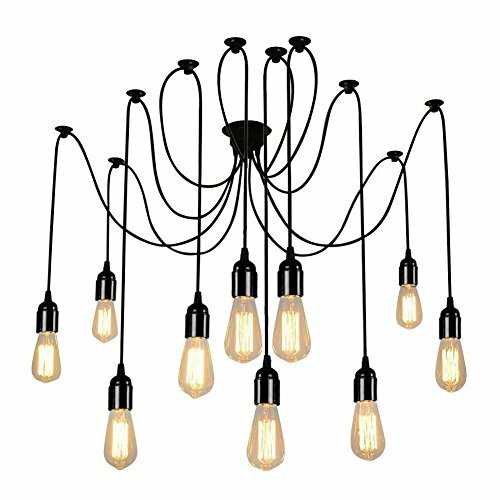 Converts a direct connect chandelier into a plug in chandelier or swag chandelier. Ingenious invention to help connect chandeliers to an extension cord and plug or wall outlet. We call this our Plug Extension Kit but it could also be called a Plug In Conversion Kit, Plug In Chandelier Converter, Swag Chandelier Converter, Chandelier Plug in Converter.....you get the idea. 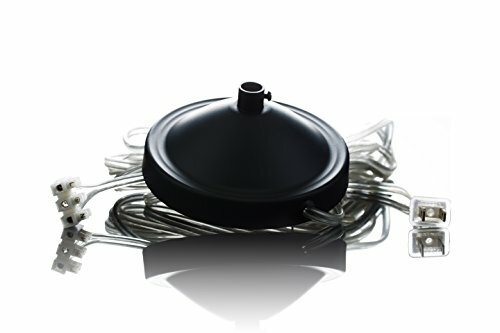 This kit allows you to hang a chandelier in any room, without a ceiling outlet for direct connection. Also great for event organizers, special events, weddings, receptions, tent lighting, etc. This product is designed for Gypsy Color Gypsy Chandeliers. Looking for more Chandelier Light Kit similar ideas? Try to explore these searches: Archery Carbon, Chanel Glass Necklace, and Full Fleece Vest. 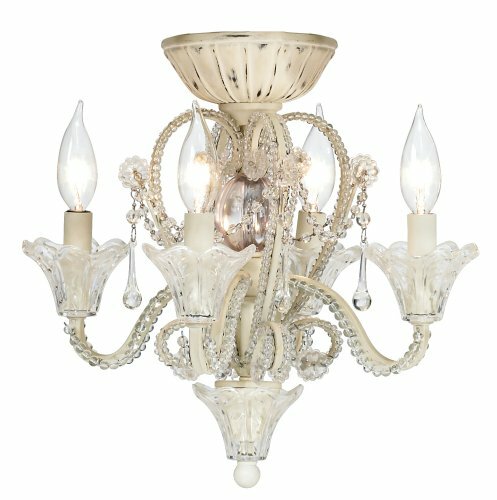 Shopwion.com is the smartest way for comparison shopping: compare prices from most trusted leading online stores for best Chandelier Light Kit, Cincinnati Reds Santa, Metal Finish Coat Rack, Kit Light Chandelier . Don't miss this Chandelier Light Kit today, April 26, 2019 deals, updated daily.